Police have found the body of Eddison Hermond, who braved devastating flash floods in Ellicott City, Maryland to help save a neighbor. 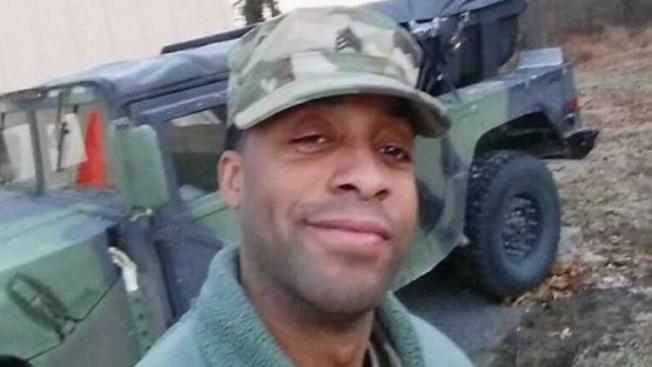 An active member of the National Guard, Hermond was swept away on Sunday while trying to help save Kate Bowman, who was struggling with her cat through churning, brown water. "He's an amazing man," Bowman told NBC News through tears. "He was just trying to save me." More than 8 inches of rain dumped down on Ellicott City in about five hours Sunday, causing powerful, dangerous floods for the second time in two years. On Monday, the clean up began. News4's Mark Segraves reports. Howard County Police Chief Gary Gardner said Hermond, a U.S. Air Force veteran, had been with a group at the La Palapa Grill & Cantina. He said Hermond was trying to help others by holding a door open as brown floodwaters coursed through the restaurant when Bowman approached, needing help. "He, along with some other folks, went back to assist her and, unfortunately, during that effort they saw him go underwater and not surface," Gardner told reporters. Others made it out of the area safely. Hermond was reported missing later in the night. For the two days that followed, volunteers and crews with trained dogs methodically searched for the 39-year-old. Howard County police said about 11:40 a.m. Tuesday that searchers found the body of a man in the Patapsco River, just across the Baltimore County line. Police announced that the body belonged to Hermond less than two hours later. Hermond was a 39-year-old Air Force veteran who lived in Severn, Maryland. Simon Cortes, who owns the restaurant, described Hermond as "a super nice guy" who was frequently in the community as locals rebuilt from the devastating flooding that ravaged the former mill town in July 2016. In a statement, Eddison's family members said they were overcome with grief. "We are also comforted by his courage, his strength, and his selflessness to help someone else in a deadly storm," the family said. "Eddison was a bright light in our family. We are confident that his light will shine on." 'Nobody Expected Another Storm of This Magnitude': Md. Gov. Saddened to learn of the loss of Maryland’s Eddison Hermond—the brave National Guardsman & Air Force veteran who lost his life rendering assistance to a neighbor. Eddison lived a life of service to his nation. Our condolences & prayers to his family. God bless Eddison Hermond. Officials shared a photo of Hermond on social media Monday morning. The family is raising money on GoFundMe to pay for expenses related to his death, their statement said. 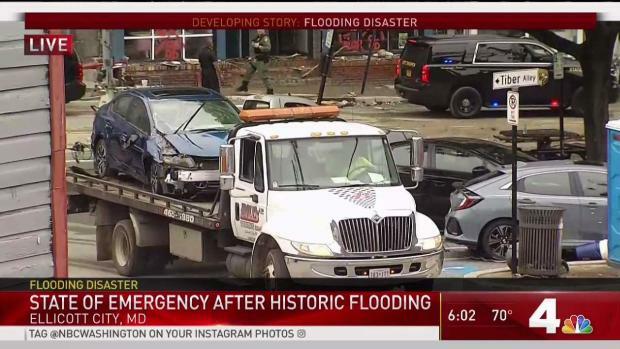 More than 8 inches of rain dumped down on Ellicott City in about five hours Sunday, causing powerful flood waters to turn Main Street into a river and sweeping away cars like they were toys.